You imagine a new and improved version of yourself – one who has achieved your goals and reached your definition of success. But you stop at wanting to be better, because you don’t feel you have the tools to achieve it. You do have the power to make yourself into a winner. Success isn’t a matter of chance – it is a matter of choice. It all comes down to your attitude and a mindset to pursue excellence. When you make the conscious choice to develop an attitude of excellence, you will achieve more, enjoy more, have better relationships, take better care of yourself physically and mentally, and vastly improve the quality of your day to day life. Armed with a positive attitude and the determination to pursue excellence, plus a coach to help you stay focused, you will become the best version of yourself. 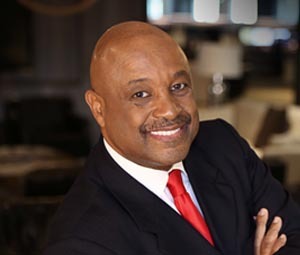 Joining us for our discussion on Team & Personal Success is Dr. Willie Jolley who is on the phone from his office in Washington DC. He is a multi-talented person. He is a bestselling author, award winning speaker and singer. He is also the producer of the mastering your money theme music. In 1991, Willie decide to become a full time speaker with less than $200 in bank, a mortgage to pay, a family to support and a dream of success. He can be heard every weekend on XM radio. 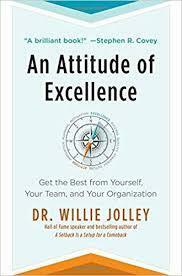 His latest book is the An Attitude of Excellence: Get the Best from Yourself, Your Team, and Your Organization!